Wonderful handmade goddess Athena coin pendant from the A. Leondarakis collection. 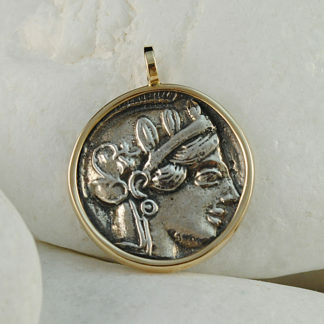 A stunning goddess Athena & Owl coin pendant from the A. Leondarakis jeweler’s classic collection. 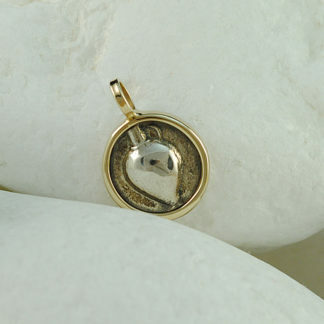 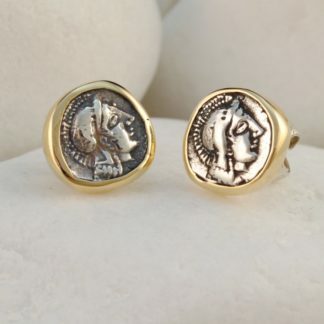 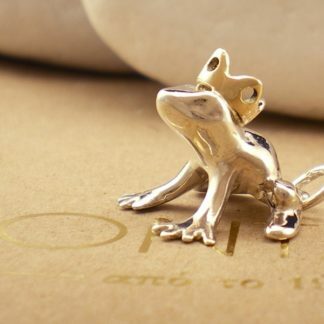 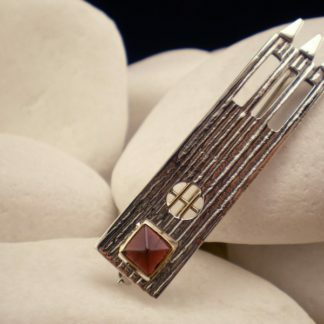 The pendant features a copy of an ancient Greek coin. 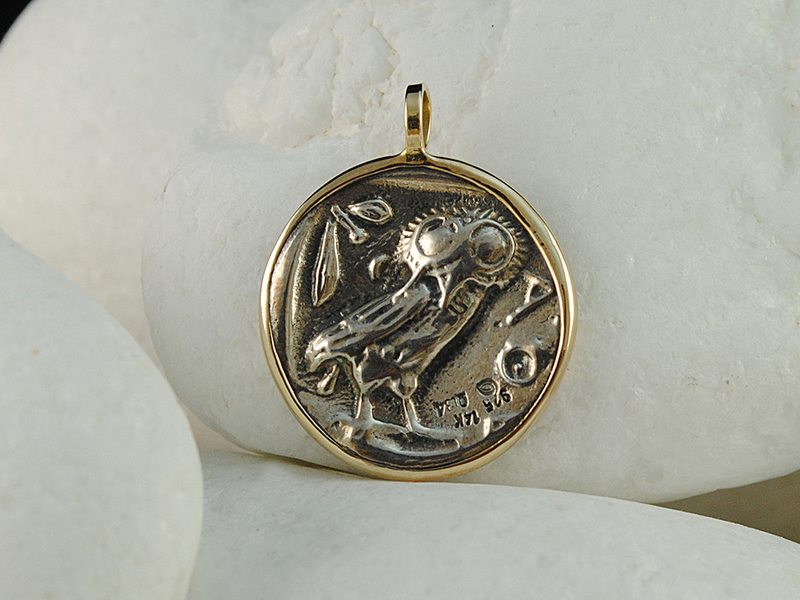 On the obverse the coin depicts the goddess Athena and on the reverse an owl; the bird that usually represents or accompanies the goddess. 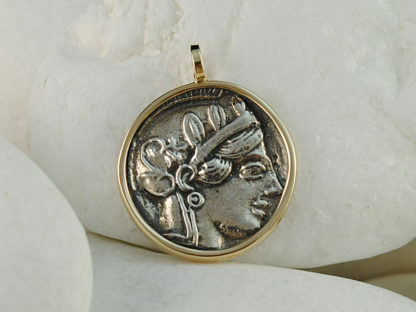 In Greek mythology Athena is the daughter of Zeus and the goddess of reason, intelligent activity, arts and literature. 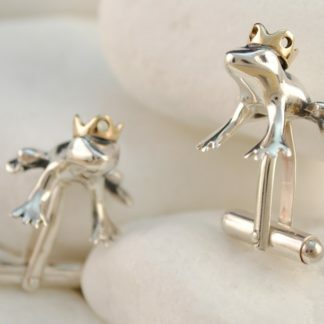 The Owl has been traditionally used as a symbol of knowledge and wisdom. 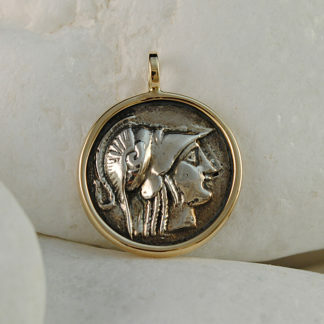 The goddess Athena & Owl coin pendant is handmade from solid 14K gold while the coin is made from solid sterling silver. 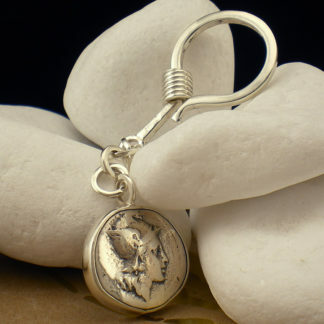 It will be sent to you in a fine presentation box for you to keep or present as a gift with a natural string for you to wear.